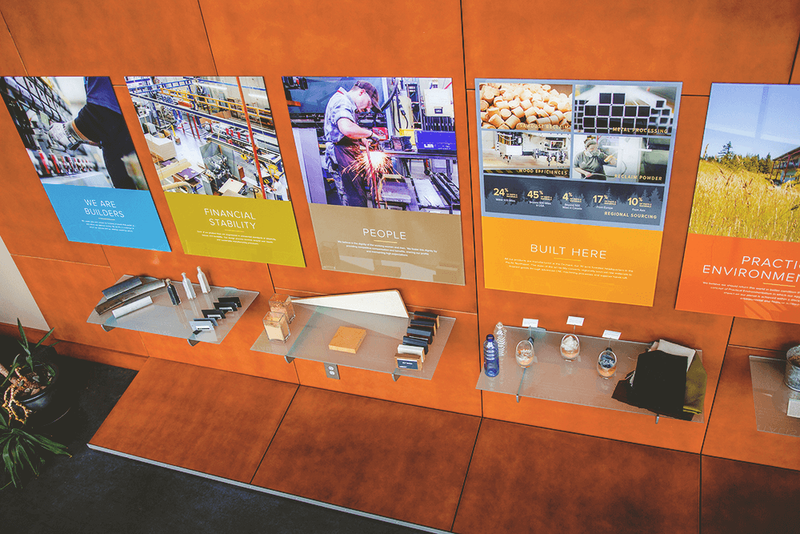 Within the main headquarters, Watson has a showroom that showcases their missions and goals presented in aged presentation boards. Sun-glare, over the course of many years, washed out the pigments of color on the display boards. 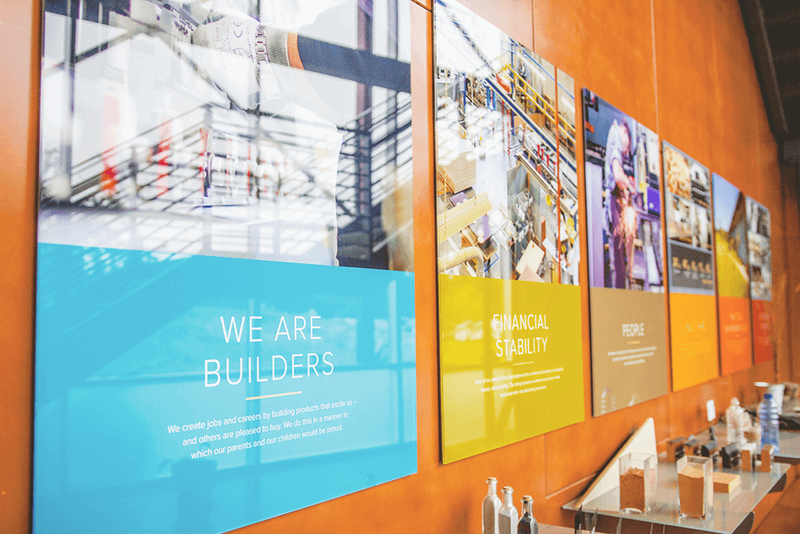 As the company grew over the many years, the guiding principals that lay the company's work foundations have also changed. 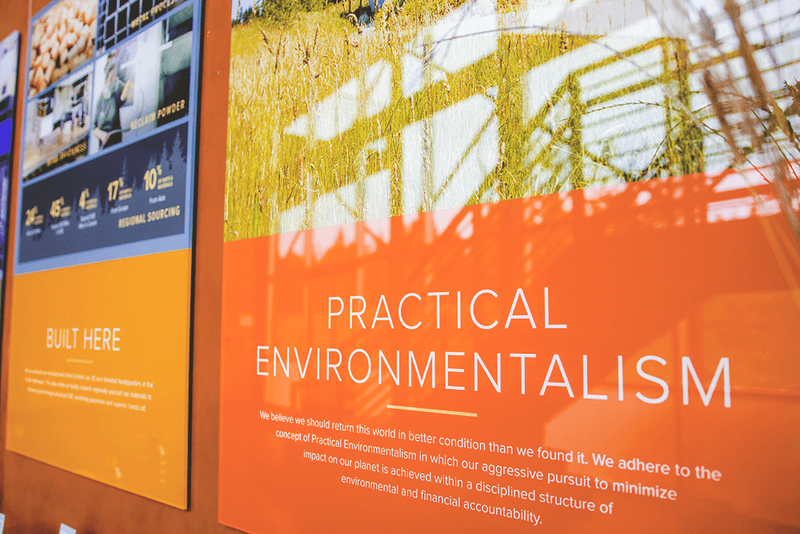 The decision was to create acrylic mounted boards (to reflect the sunlight) and to present updated guiding principals, along with new high resolution photography of its surrounding scenery. The finished acrylic board series creates a very inspiring polished feel, with a shiny surface that looks real good upclose. I was very pleased with the end result. Acrylic mounted boards are always my favorite display form. 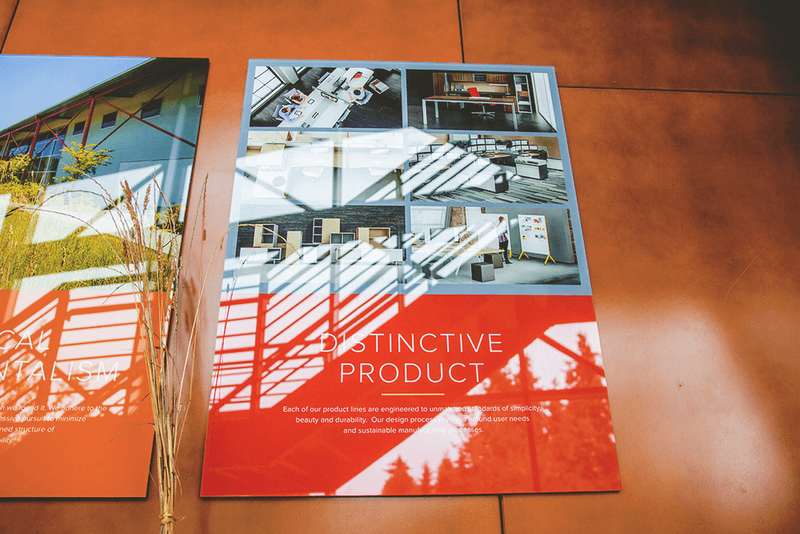 This project was made possible through Watson Furniture Group.